Death Row inmates battle for their lives against dinosaurs in a televised tournament. I wasn't a fan of Gremlin, director Ryan Bellgardt's last effort; however, I think my expectations were high because his first feature, Army of Frankenstein, was bloody brilliant (and should be sought out asap!). So when I heard of The Jurassic Games I was unsure, to say the least. In the future, violent criminals are put in a virtual world where the last man or woman staying is given a full pardon. Anthony Tucker (Adam Hampton) is innocent of the murder of his wife yet must fight to stay alive. The Jurassic Games doesn’t hide the fact that its plot is a bit derivative, but rather owns it and plays up its very own interesting variations. Similar to Death Race 2000, The Jurassic Games imagines a world where bloodsport rules and the more splatter, the higher the ratings. Any time it's about to get too heavy handed, Bellgardt always reigns it in and thus allows the audience to still have fun, which brings me to the element I feel saves this film - it doesn’t take itself too seriously. Wisely, Ryan still remembers to inject some humour in the film, even if it is of the dark variety. 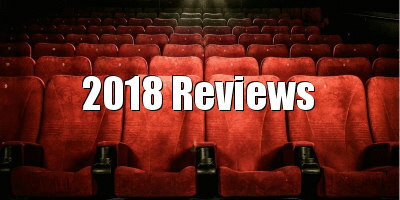 This allows the movie to get away with some more over the top moments, and it walks a brilliant razor thin line between smart satire and mindless, fun action romp. The commercial for a line of action figures based on the players is both funny and unnerving given the films context, plus it helps to add layers. 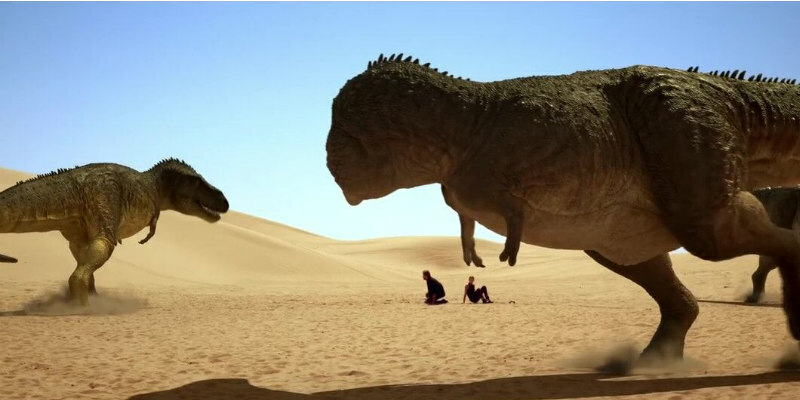 I also have to give props to the director for not limiting the film to only Dinos as the film features a number of other deadly wildlife. I've said many times that Army of Frankenstein was one of my favorite indie films the year it came out, and The Jurassic Games is a return to form in that video-game-esque feel. Even though I don’t think excessive gore makes or breaks a movie I do feel like in this case they could have amped that factor up. Also, while we’re on the subject, some of the gore on display is CG and I would have loved to see practical effects. I would be remiss if I didn’t mention the stellar cast, as each actor brings something awesome to the film. Some might go a bit hammy, but given the story I’m perfectly okay with it. Katie Burgess ends up stealing the show and I would love to see her in more roles like this. Other reviewers might be quick to wag the finger at the CGI dinosaurs (and other beasties) but I am willing to give that a pass because 1) its actually pretty solid, 2) I keep in mind Ryan’s budget, and 3) the CGI smartly conforms to the plot as the game plays out in a simulation. Bottom line - don’t let this turn you off because it's still a damn entertaining flick. And that ending rocked me all the way back to the stone age! There's a hell of a fun time to be had with this one and I think it’s worth your time and coin. 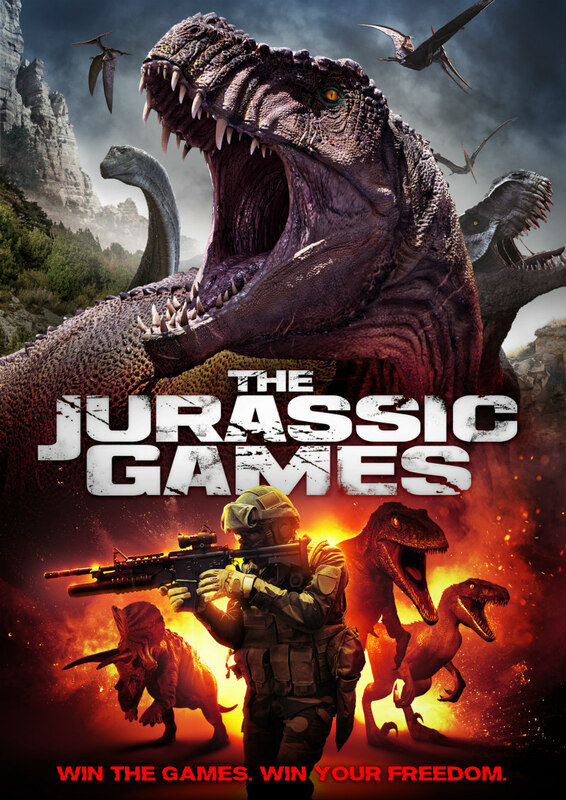 The Jurassic Games will be available on VOD June 12th and DVD July 3rd. His other credits include Scream Magazine, Fangoria and websites like Films in Review and Bloody Flicks (UK). 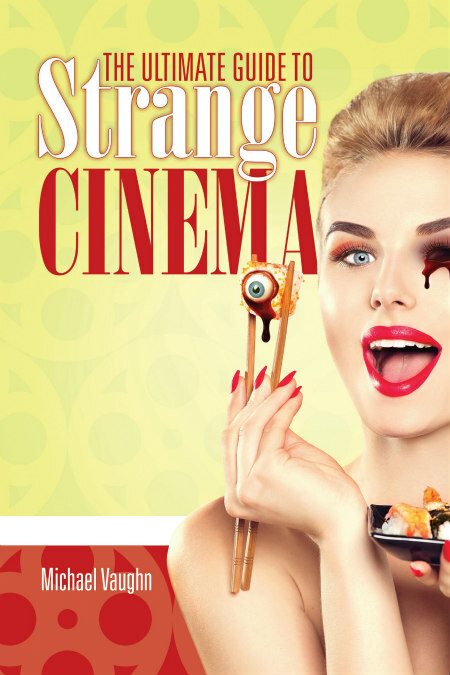 Please follow his Twitter @StrangeCinema65 and Instagram @castle_anger.